Turning Tricks Entertainment in association with Jagermeister proudly presents PROTEST THE HERO LIVE IN SOUTH AFRICA. Pixies To Release First Full Studio Album In More Than 2 Decades! Ozzy has been at it again, never disappointing. 35 years since the last Black Sabbath album Ozzy says, “We decided to write horror music” , and sing me symphonies from beyond thats just what they have done. Doors co-founder and keyboardist Ray Manzarek died yesterday, 20 May 2013, in Rosenheim, Germany after a long battle with bile duct cancer. He was 74. American guitarist Jeff Hanneman, a co-founder of the heavy metal band Slayer, died in southern California on Thursday, the band said in a statement posted on their website. He was 49. “Hanneman was in an area hospital when he suffered liver failure,” the band said. Jeff had been recovering from a spider bite which had left him with necrotising fasciitis, a flesh-eating disease which attacks subcutaneous tissue. Hanneman founded Slayer with fellow guitarist Kerry King in the early 1980s in suburban Los Angeles. The band was known as one of the “big four” thrash metal groups of the 1980s, along with Anthrax, Megadeth and Metallica. Hanneman is best known as a writer of the songs Raining Blood and Angel of Death from the 1986 album Reign of Blood, which is considered a landmark of the thrash genre. Hanneman is survived by his wife, Kathy, and three siblings. RIP Jeff, another sad loss to music the world over. 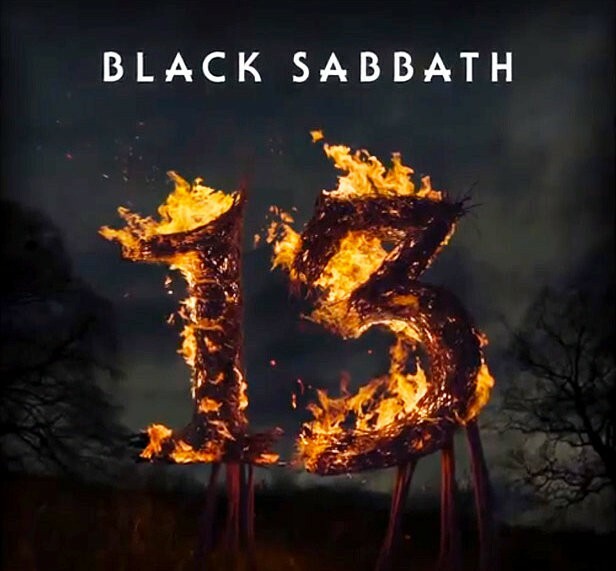 So here is the long awaited and much anticipated sneak peak at Black Sabbath‘s upcoming album, entitled 13, due for release in June this year. How could we have let most of the day go by without some reference to Kurt Cobain..
Cobain’s death still leaves some mystery, with Courtney Loves story changing during interviews and a lot of unanswered questions. All we know is we lost a legend. After signing with major label DGC Records, the band found breakthrough success with “Smells Like Teen Spirit” from its second album Nevermind (1991). Following the success of Nevermind, Nirvana was labeled “the flagship band” of Generation X, and Cobain hailed as “the spokesman of a generation”. Cobain, however, was often uncomfortable and frustrated, believing his message and artistic vision to have been misinterpreted by the public, with his personal issues often subject to media attention. He challenged Nirvana’s audience with its final studio album In Utero (1993). Enter Shikari have premiered a video for their new single, “The Paddington Frisk.” The track is available on iTunes. Watch as Aric Improta performs a rattling five-minute drum solo in front of approximately 1,500 spectators and a lineup of celebrity judges. Out of 4,000 drummers across the country that showed interest in the Drum-Off competition, Improta was one of a handful that made it to the final round!